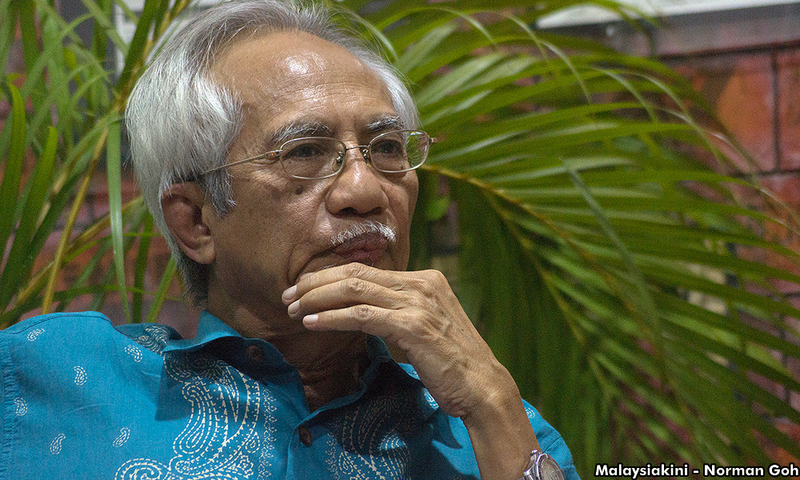 Are M'sians still living in the Hang Tuah era? COMMENT | "The people expect them to be the embodiment of all things good and holy. But the question is: Are they?" I never thought I would say this, but former information minister Zainuddin Maidin questioning Umno information chief Annuar Musa if the latter was still living in the Hang Tuah era, was pretty interesting blowback for Annuar’s urging of the state security apparatus to investigate Bersatu supreme council member A Kadir Jasin for his article allegedly “questioning” the royal institution. Furthermore Maidin’s caution of not threatening the rakyat with “reckless feudalism” is also a reminder that perhaps, we are living in a new dawn of Malaysians politics, something which I am skeptical of. This idea that political hegemons “threaten” the rakyat with “feudalism”, reckless or otherwise, has always been the preferred weapon of the “bangsa and agama” (race and religion) crowd. Here is an example of this narrative whereby the rakyat have been threatened with “feudalism”. When Anwar Ibrahim goes on his royal tour, apparently to convince the royalty that all is kosher with “Malay rights” and “Islam”, this is part of the narrative that Malay rights and Islam are under attack. When Anwar Ibrahim and any Malay politician for that matter have to reassure the Malay community that the appointment of Tommy Thomas will not adversely affect Malay rights and Islam, this feeds into the narrative that those ideas/institutions are under attack. The counter-narrative is, have they ever been under attack? Reminded the ordinary rakyat of how much is allegedly spent on the Agong and the difference of expectation between a pauper and a king. That’s powerful stuff coming from Kadir, and the reality is that this is what the average rakyat is wondering. When kids carry out a car wash to contribute to the Hope Fund or whatever it’s called, people think it demonstrates how Malaysian we are. When the salaries of politicians are cut and the trimmings used to contribute to the Hope Fund, people think it demonstrates how politicians are playing their part in saving this country.